Why just have a regular door leading to your outdoor living space, when you can have a beautiful patio door that will provide natural light, an expansive view and fresh air? A patio door is a great addition to any home and will add style to both the interior and exterior. Five reasons your home needs a patio door. 1. Patio doors can slide or swing to fit any home. 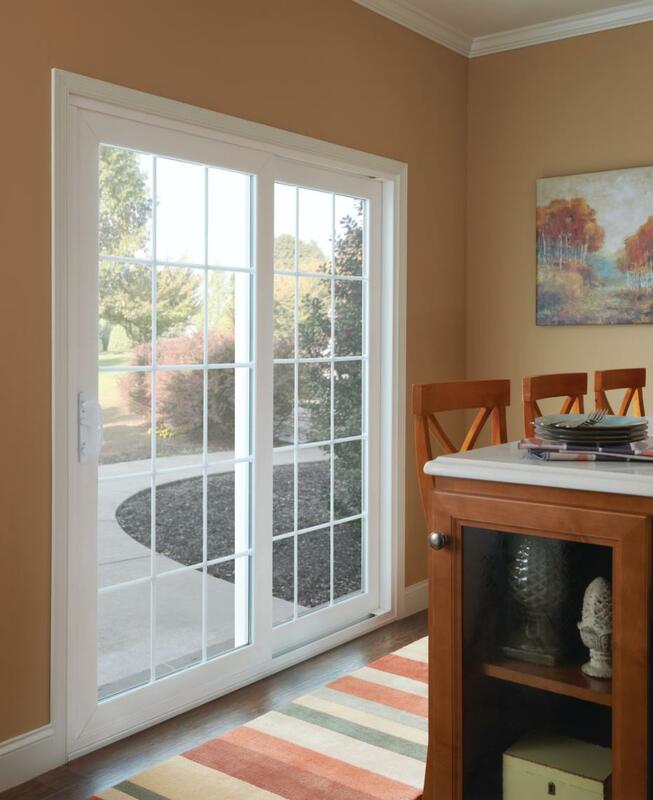 Patio doors come with the option of sliding or swing styles to fit into any home. While both open your home to a beautiful view there are some differences. A sliding patio door is great for rooms that don’t have space for a door to swing in or out and come with screens for ventilation. And today’s sliding patio doors have come a long way and are designed to provide consistently smooth operation. Swinging patio doors offer a classic look that has been around for centuries. These patio doors can have one or two movable panels and can swing in or out. One benefit of a French hinged patio door is that both panels open and give you an extra wide space to move things in or out of your home. 2. Patio doors offer easy access to the outdoors. 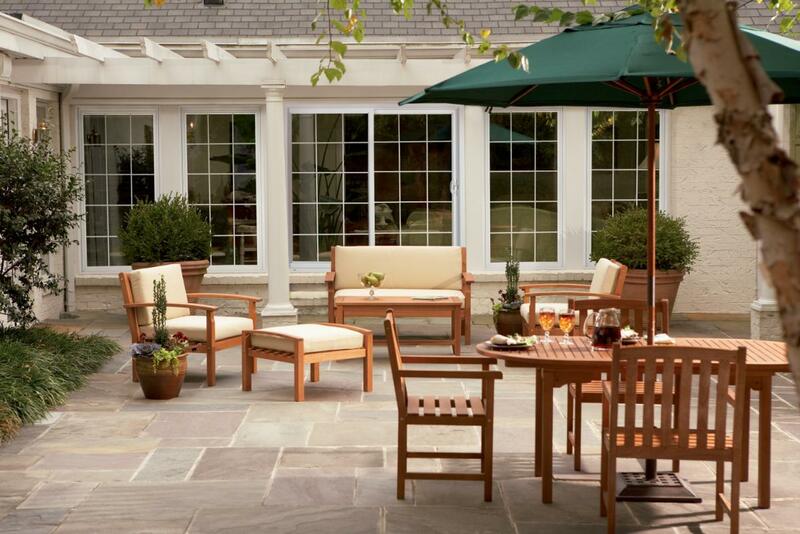 If you have an outdoor living space that is an extension of your home you need a patio door to provide easy access. The open view connects the interior and exterior and becomes the gateway to your patio, deck and backyard. 3. Let in more natural light with a beautiful patio door. With a large open view, patio doors allow natural light into your home. Sunlight changes the atmosphere of any room and highlights the color, furnishings and design elements. The open view and natural light will actually make a room feel larger than it is. 4. Energy efficient patio doors can lower energy bills. With so much glass, many people are afraid that a patio door won’t be energy efficient or keep their home comfortable. Available Low E coatings, gas fills, and spacer systems are designed to provide maximum efficiency and consistent temperatures. You can also choose glass packages that meet demanding ENERGY STAR guidelines for all regions of the country to have the most energy efficient patio door you can buy. 5. Patio doors can be customized to suit you style. 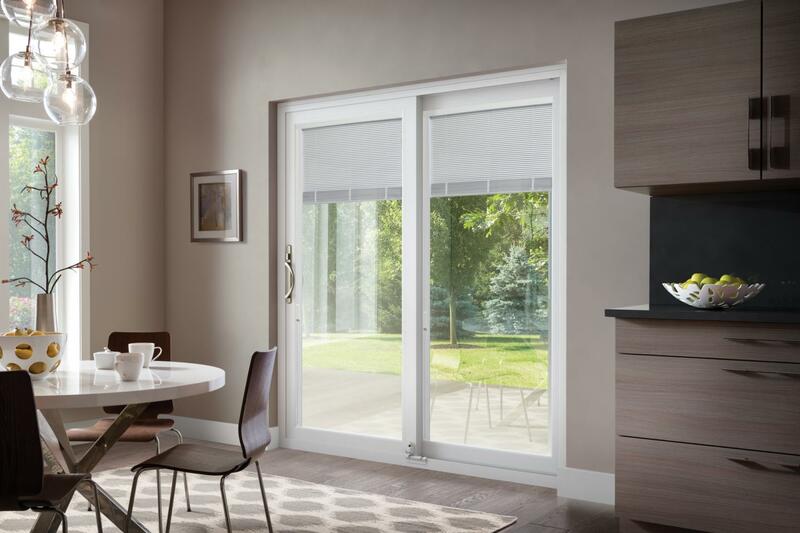 From various colors to decorative hardware, a variety of patio door style options give you design flexibility and just what you need to match your home’s design. Blinds between the glass offer privacy and eliminate the hassle of dusting blinds. 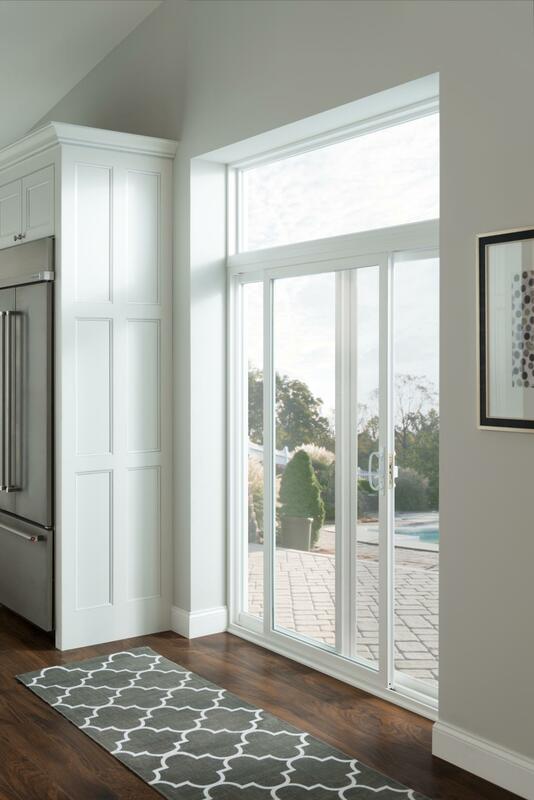 While most patio doors come with tempered glass for safety, you can choose laminated glass for increased security, protection against forced entry and sound reduction. Want to learn more about patio doors? Read our Patio Door Buying Guide.